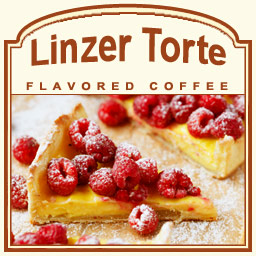 Linzer Torte flavored coffee features a conglomeration of flavors such as wild raspberries, vanilla, and almonds. If you love flaky pastries and pies, this Linzer Torte coffee will make your taste buds melt with its creamy and buttery undertones. Made with 100% Arabica beans, this torte-inspired flavored coffee will burst with a smooth, berry flavor. Heat-sealed in a valve bag, you can expect the freshest coffee that will be roasted and shipped on the same day. The Linzer Torte flavored coffee will indulge your taste buds, so go ahead and let this bright flavor soothe your coffee-loving soul!